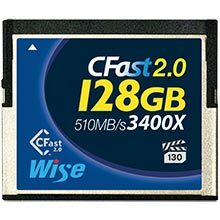 Wise CFast™ 2.0 memory cards are designed for the modern professional broadcaster, videographer and photographer. The card provides write speeds of up to 450 MB/s and data transfer rates of up to 525 MB/s with video performance guarantee (VPG130) support. This means you can capture 4K RAW and high-res bursts of continuous shooting with ease. In addition, the world’s first 512GB large capacity card offers non-stop recording for your masterpiece. An uncompromising professional videographer demands reliable and durable media they can trust. They choose wisely. The high-speed performance of the card pushes the SATA 3.0 interface to the limit. 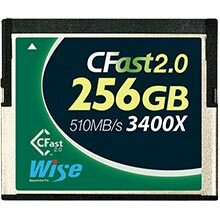 Write speeds of up to 450 MB/s allow you to easily capture multiple burst of continuous shooting. The card offers read speeds of up to 525 MB/s, so you can transfer large RAW files and high-res images in a matter of seconds. This card also supports the Video Performance Guarantee (VPG-130) specification for 4K video recording. 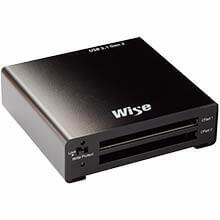 It ensures write speeds of at least 130 MB/s for a smoother stream without dropping frames. 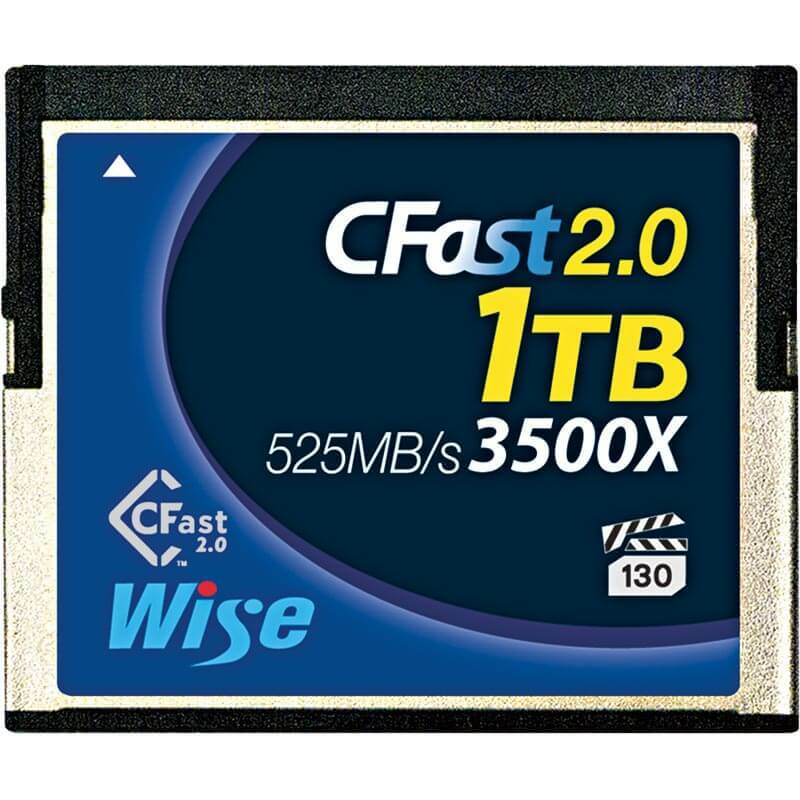 The large capacity, up to 512GB, provides ample space for continuous hi-res 4K RAW footage. Filmmakers can now shoot longer without frequently changing cards. Wise Advanced CFast™ 2.0 cards are water-proof, dust-proof, shock-proof, and can be operated in temperatures ranging from 32°F to 158°F (0°C to 70°C).